Until your work clone arrives, shopping for your gym or fitness facility will probably remain on your to-do list. However, stocking and restocking your shelves shouldn't take too much of your time. Our redesigned website is quick, informative, and simple. Our autoship program will save you time and provide peace of mind. 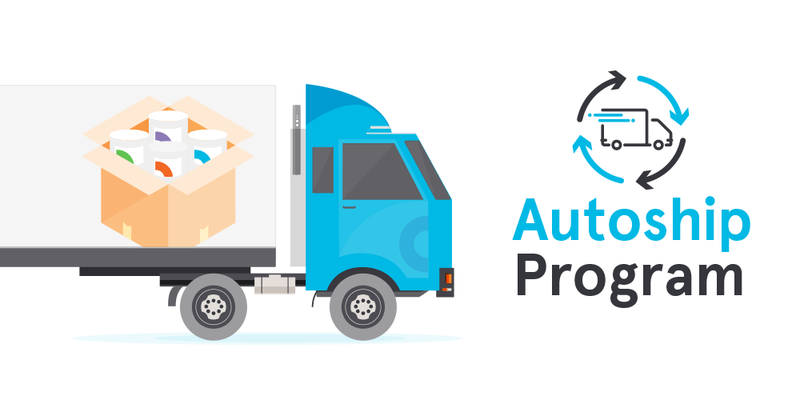 Signing up for autoshipment have never been easier. You'll be fully stocked on all your favorite fitness and wellness supplies, including gym wipes, body care, and paper products. You don’t even have to remember to restock Zogics Value Wipes, Wellness Center Wipes or Antibacterial Wipes. All eligible items have a "Subscribe for Autoship" option on the product page. Do you frequently order the same items? These are the type of products that are perfect for autoship. You'll never run out again! You can set up a recurring order from our product page. You choose the frequency you’d like with the drop down menu under the price. Then fuhgeddaboudit. Your products will arrive every week, every month, or whatever time frame you choose. All you have to do is set your delivery frequency, checkout, and that's it. Our autoship program makes it a breeze to manage your subscriptions. You can add secure stored credit cards, view upcoming subscriptions, and cancel a shipment from within your account. Never run out of wipes again. Plus, you'll save money. We offer our repeat delivery customers exclusive discounts throughout the year. If you have any questions about our autoship program, give us a ring at 888.623.0088 or chat us up.